Coffee is not a proven cause of cellulite, and it may actually help reduce the dimply appearance. That's why coffee and caffeine are active ingredients in many topical cellulite treatments. More research is needed to confirm the benefits, but one study published in the "Journal of Cosmetic Dermatology" in 2008 found that caffeine, applied topically to mice, reduced the diameter of fatty cells by 17 percent, lessening the appearance of cellulite. However, the effects of topical cellulite treatments are temporary. 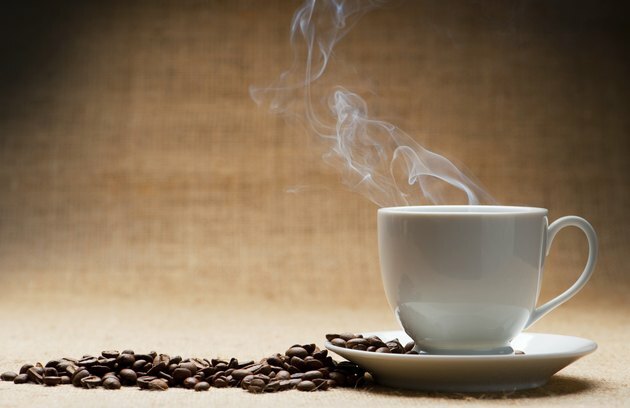 Although coffee is not considered a contributing factor for cellulite, eating too much sodium, fat or carbohydrates can worsen this cosmetic woe. Smoking, leading a sedentary lifestyle and wearing tight garments that restrict blood flow may also contribute to cellulite. Genetics also play a major role, so you may get cellulite no matter what lifestyle choices you make. Fortunately, cellulite does not cause any medical problems -- and it is extremely common. Can You Get Rid of Cellulite With Hormones? What Is the Difference Between Cellulite and Stretch Marks?